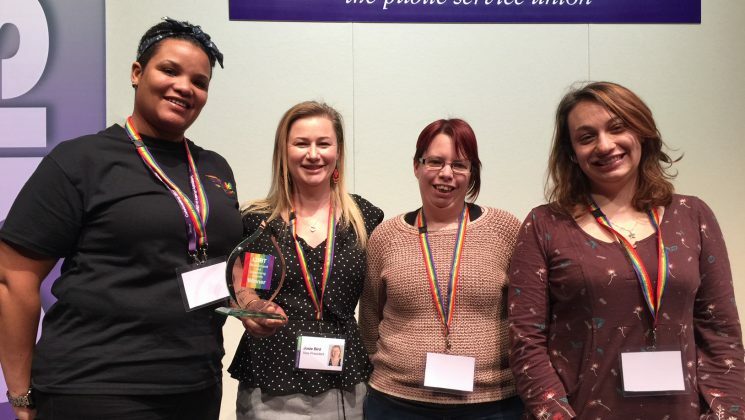 UNISON’s LGBT group celebrated its latest recruitment champions this morning, when vice president Josie Bird presented the winners with their awards at conference in Harrogate. 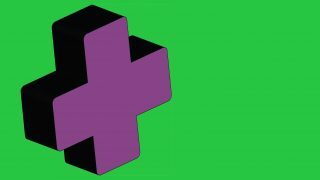 “The presidential team are always astounded at how many weekends our LGBT members are out and about at Pride and other community events,” she said. 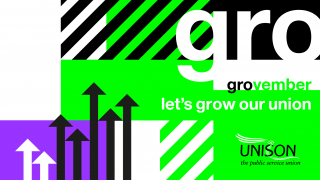 “We’ve learnt from those regions that submitted an application for the awards that these regional groups attended 35 Prides events this past summer. 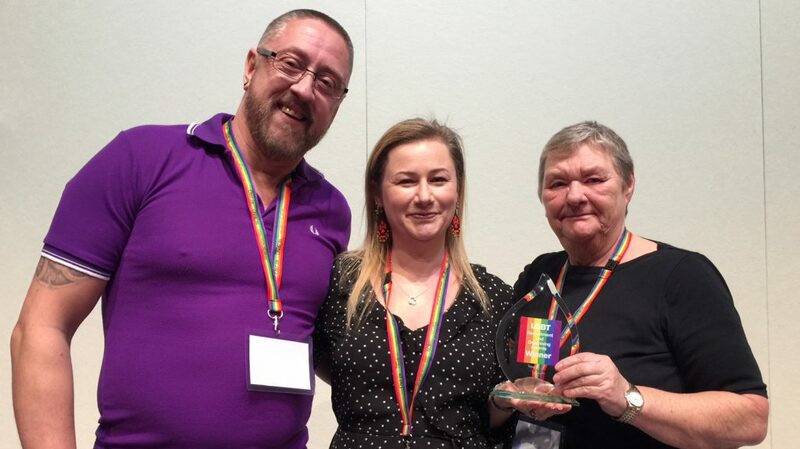 Ms Bird announced that the 2018 winner of the branch LGBT organising award was Cardiff County Branch. 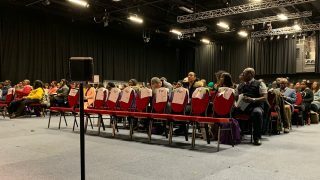 Only formed in January this year, since then, it has doubled the number of activists involved and organised and attended many events, both in and out of the work place. Representatives of the branch collected their prize from Ms Bird – pictured above. 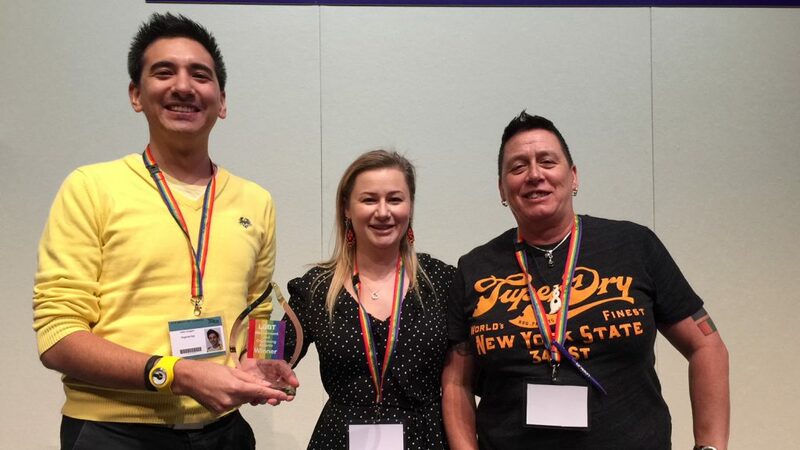 In which case, the judges selected Scotland region (representatives of the regional LGBT group are pictured above with Josie Bird and their award). Finally, the award for the best photograph gave the judges a difficult choice to make – but they agreed that the award should go to the North West region and representatives from the region stepped forward to collect the award (pictured below).